Here’s our practical guide to buying the right diamond engagement ring. Even if you have very little idea about what kind of engagement ring you should buy, knowing your budget is a good start. It will help you avoid getting into debt even before the wedding planning has begun and will give you an idea of which engagement rings are in your price range. 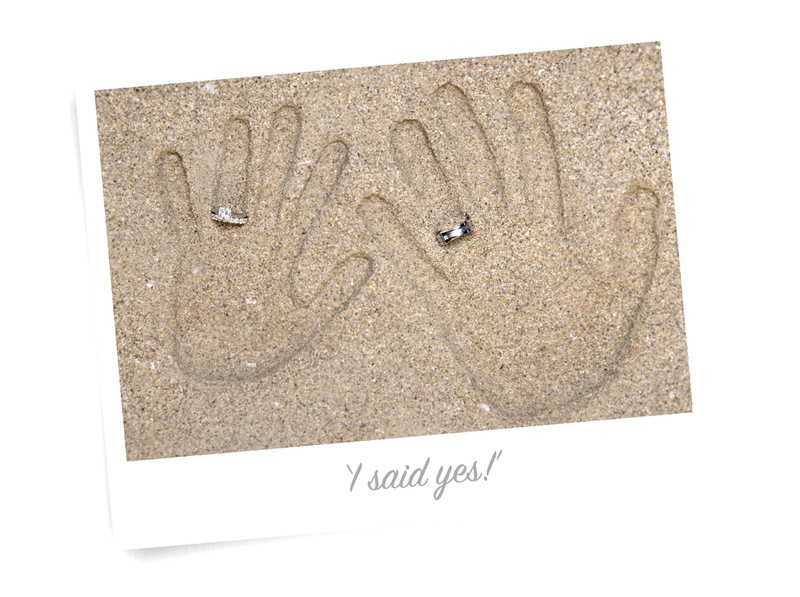 Custom-designed engagement rings aren’t necessarily more expensive than other pieces. Whether you’re looking to design a bespoke piece or choose a popular style of solitaire diamond engagement ring, the design should suit your partner’s style and personality. Do they have a bold persona, to be matched only by an ostentatious ‘rock’; or would they prefer something a little less daring? Knowing what kind of jewellery they favour – yellow or white gold, sapphires or diamonds or both – will allow you and your jeweller to pick or create a beautiful piece. This part can be tricky, particularly if you are trying to keep the proposal a secret. If your partner already wears a ring on their ring finger (closest to the little finger) you could take this to the jeweller for comparison, If this isn’t possible, a ring-size guide may help. If all else fails, most rings can be easily resized. This may be a little inconvenient if your other half is desperate to show it off, but having a correctly sized ring sparkling on that finger will make it worth the wait. According to the Australian Diamond Guild, diamonds are graded by cut, clarity, carat and colour. The cut determines the degree to which a diamond transmits light, or creates the ‘sparkle.’ A brilliantly cut diamond will transmit more light and produce a dazzling sparkle. Clarity refers to the nature and position of blemishes or inclusions of a diamond. Carat is a very important factor in choosing a ring, as it refers to the unit of weight by which diamonds are measured, and largely determines the price. As for colour, white diamonds create classic, timeless engagement rings, while the rare pink diamond expresses everlasting beauty. Whatever the colour you desire, rest easy knowing that Jewels of the Kimberley only source coloured diamonds from the Kimberley, Western Australia. Gold comes in a spectrum of colours, including white, yellow and rose, and it’s important to think about both the band and setting, or the part of the ring that holds the stones in place. Think about the band’s width, the cut and colour of diamond or stone you will choose, and what kind of setting will best suit, such as claw or bezel, which will all influence your design. Whether you’re looking to buy a bespoke engagement ring in Melbourne or Perth or anywhere in between, take a look at Jewels of the Kimberley. Their dedicated, talented jewellers can bring sparkle and shine to your lives by creating the perfect symbol of your eternal love.